Just because summer is over doesn&apos;t mean the fun has to stop. In fact, in Chesapeake the fall season means there&apos;s even more to do. Check out a few of our favorite fall festivals and actives coming up. Swing by Northwest River Park on September 23rd. This festival lands on the first official weekend of fall and offers all of the park&apos;s usual activities free of charge. Canoeing, fishing, mini-golf, pony rides - Family Day is an activity everyone can enjoy. Pumpkin Patches and Corn Mazes Galore! Chesapeake offers a wide variety of iconic outdoor fall fun. Bergey&apos;s Breadbasket and Bakery opens their corn maze on September 15th. 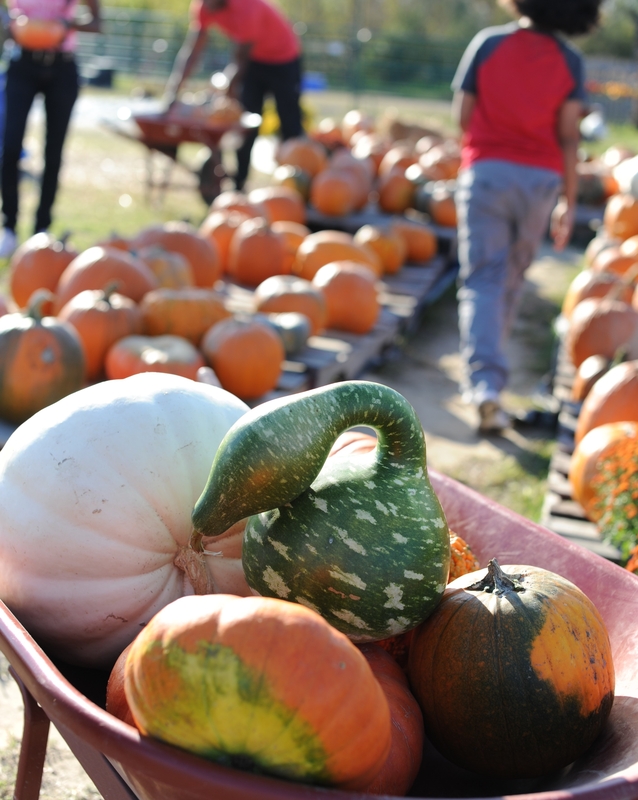 On September 30th Historic Greenbrier Farms kicks off their annual pumpkin patch and on the first of October Brookdale Farms opens up for fall festivities...and that&apos;s just the tip of the iceberg! October 21-27 is Chesapeake&apos;s first annual restaurant week. The best local eateries around will be serving up multi-course, fixed-price lunch and dinner options. It&apos;s the perfect excuse to sample some creative cuisine without breaking the bank. On October 28-29 local artists, music and food all come together for a festival that is uniquely Chesapeake. Taking place on the Dismal Swamp Canal Trail, you can check out one a one-of-a-kind gathering under the trees of an ancient forest. You runners out there can even sign up for the Swampathon 5K. In Chesapeake, there&apos;s no shortage of fall fun. Follow us on Facebook to discover even more awesome events. Let the moments begin.